Under the direction of the European Commission, Greek authorities will not be renewing the special agreement between Turkey and Greece which overrules the Schengen Visa Agreement for seven Greek islands.Local business owners, however, have condemned the decision, saying they did not want to lose profits already hit hard by the country's weak economy. While a comprehensive statement, regarding the European Commission decision, was yet to be issued, the Greek Ministry for Foreign Affairs was already pushing to reinstate the agreement between the two nations. Under the special agreement, which came into force three years ago, Turkish tourists wishing to visit the islands of Chios, Lesbos, Samos, Symi, Rhodes, Kos and Kastellorizo, could apply for special Schengen visas, designed specifically for the seven islands, that permitted them to travel to the islands for between one and three days. Greek business owners and local leaders on the islands say that this could result in disaster for the local economy which took a major hit not only from the sluggish Greek economy but also the unbearable influx of refugees to the islands over the previous months. The unprecedented wave of Syrian refugees left tourists avoiding the area but Turkish tourists had continued to visit, remaining loyal to travel plans. Across from Turkey's seaside town of Ayvalık, on the island of Lesbos, Greek deputy and representative of the island George Palis of the Syriza ruling party said, "Not everything is over." Meanwhile, Foreign Ministry sources say Brussels will review the matter, adding that the Ministry expected a positive outcome. 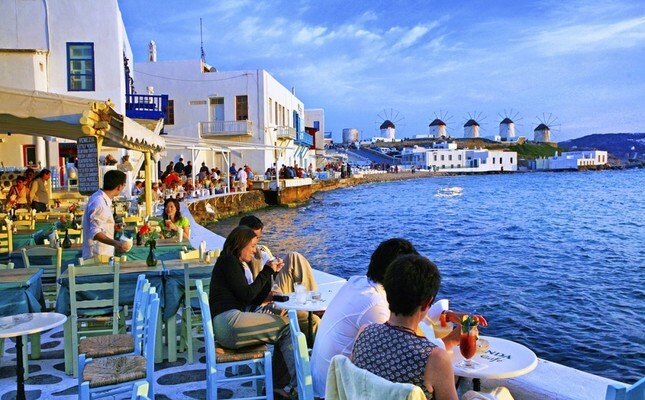 Turkish tourists are major contributors to the local economy of the Greek islands, which lie across the Aegean Sea, facing the Turkish coast. Even if planned itineraries were short, Turks were known for spending substantial amount of money when visiting the islands. The process of obtaining tourist visas to the Greek islands was streamlined for Turkish citizens in order to provide incentives for additional Turkish tourists to visit the region without the nitty-gritty paperwork from an official diplomatic authority that is commonly associated with the traditional Schengen Visa. To the contrary, tourists only have to reach an agreement with a travel agency before being briefly screened, put on a vessel and allowed to travel across the sea before being escorted by the Greek authorities to receive temporary visas upon landing on the islands, upon presenting passports and necessary documentation. The Schengen Visas Turkish tourists received were technically not different from any other Schengen Visa. However, instead of lasting weeks or months, these visas would expire in one to two days. The Greek Foreign Ministry has stated in the past that it wishes to extend that time period significantly. The procedure saves Turkish citizens a lot of time and money and there have been no reports of Turkish nationals abusing the system. Furthermore, passengers aboard mainland-bound vessels undergo identification checks which determine if they were eligible for further travel; a protocol that would be nullified under this agreement. There has been no clarification from the European Commission as to why this is happening now as opposed to during the apex of the migrant crisis in the Aegean Sea or why it is even happening at all. If anything, strained relations between Greek and Turkish authorities were further exacerbated after the Greek Supreme Court's decision to deny Turkey's extradition requests of Turkish military officers accused of involvement in the failed July 15 coup attempt. The officers requested asylum in Greece in July last year after the coup attempt which left 248 people killed and over 2,000 injured. The decision prompted Turkey to reconsider opening its borders to migrants and resulted in the cancellation of the EU-Turkey deal regarding the matter.